The price of electric and hybrid cars is set to rise after the government announced changes to the financial incentives for buying greener vehicles. Grants for some ultra-low emissions cars will be cut from £4,500 to £3,500, while discounts in two other categories will be scrapped. The Department of Transport (DoT) said the move would affect the purchase of the next 35,000 of the cleanest cars. 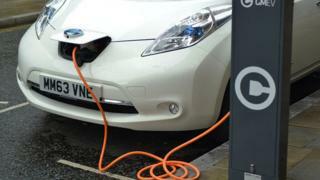 But the RAC motoring group called the change a “big step backwards”. The Plug-in Car Grant was introduced seven years ago, and has provided discounts to the price of more than 160,000 new ultra-low emissions vehicles. The DoT said the grant had helped the plug-in hybrid market become established, and the government now wanted to focus support on zero emission models such as pure electric and hydrogen fuel cell cars. The changes come despite government plans to remove petrol and diesel cars from UK roads by 2050, forcing all motorists to own electrified models. But motoring groups rounded on the government, with RAC head of roads policy Nicholas Lyes saying the move was “a major blow to anyone hoping to go green with their next vehicle choice”. He said: “Of particular concern, some popular zero emission capable plug-in hybrid models will lose their plug-in car grant altogether. The changes comes into effect on 12 November.